Food is one of my favorite things about New York City, which is why trying new restaurants has become hobby of mine. I keep a running list on my phone of places to try, some I've passed by, others I've seen on Instagram, and so far, I've tried too many to count. 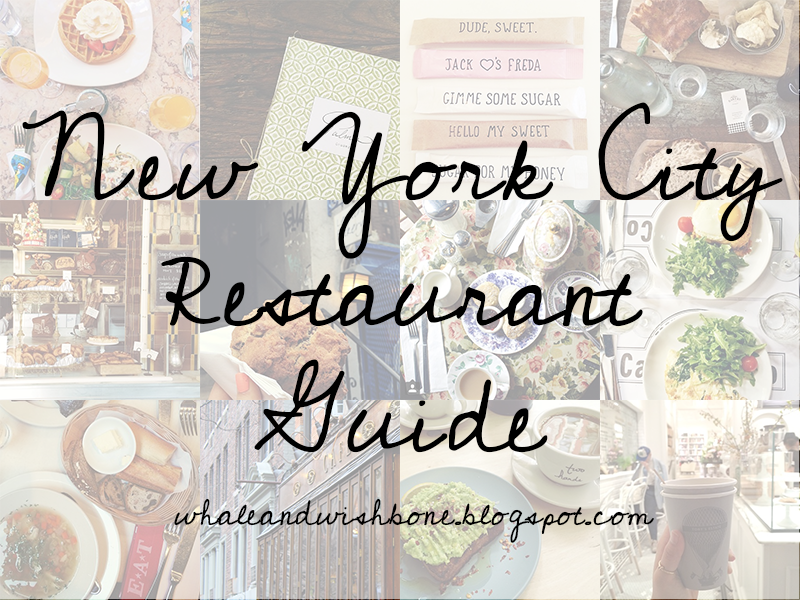 That's why I am so I'm excited to share with you my rather extensive list of NYC favorites! After putting this list of restaurants together, it concerned me a little how much I've probably spent eating out (mostly brunching) over the past four years -- sorry mom and dad! But, #noregrets because the time I've spent eating with friends and family at these restaurants are now some of my favorite city memories. So enjoy, and don't forget to let me know if you have any recommendations for me! Why I love it: In whimsical and Wonderland inspired Alice's you can expect meals with titles like "The Mad Hatter" and "The Jabberwocky." There are three locations (called "chapters") in the city, each with slightly different menus. Regardless of which chapter you visit, be sure to try their delicious house blend indian black vanilla tea called "Alice's." Why I love it: Having gone to Fordham, I'd be remiss if I failed to mention Arthur Avenue. With too many amazing places to name individually, the little Italy of the Bronx has some of my favorite restaurants in the city. If I'm forced to talk specifics, Tino's for lunch and Enzo's for dinner are at the top of the list. Why I love it: Bakeri is an adorable and indie little hole in the wall. Their lunch menu is so good and their bakery case is to die for. Plus you can watch them bake everything while you eat! Why I love it: This is one of the famous Lidia Bastianich's restaurants and is perfect for a classic Italian meal. Be sure to order the rotating pasta, where you get unlimited table side service of three different kinds of pasta. I've actually been to Lidia's in Pittsburgh too! Why I love it: The walls of this upper east side historic bar are covered with whimsical, hand painted illustrations by Ludwig Bemelmans, illustrator of the Madeline children's books. I've been dying to go ever since I attended the New York Historical Society exhibition on his life titled Madeline in New York. The Carlyle Hotel's beautiful bar did not disappoint. Incredibly cozy with a vintage feel, it's the perfect spot to enjoy a drink, some live music and unlimited bar snacks. Why I love it: Ice cream with a side of sarcasm is always my favorite. Easily the most I've laughed while ordering ice cream. Why I love it: You'll find Bobo in a century-old townhouse in Greenwich Village. It's classic french cuisine served in what feels like someone's regal living room, with a gallery wall to die for. I also love that the restaurant was "inspired by the joy of having friends over for dinner." Carlos Suarez's other restaurant Claudette is on my list to visit! Why I love it: The Bonnie encompasses just about everything you could want out of a brunch place: delicious food, killer cocktails, and an adorable aesthetic. It also doesn't hurt that it's a stones throw from my Astoria apartment. Their inviting motto "Stay Awhile" also supports my theory that philosophy should never be rushed. Why I love it: Perfect for brunch when you're craving a bit of comfort food. It's all so delicious, and any brunch place that brings you unlimited bread like it's dinner is A-ok in my book. Also, what can I say?-- I'm a sucker for exposed brick. Why I love it: Stop here in the summer to relax and enjoy the view of city before making your way across the Brooklyn Bridge into Manhattan. Why I love it: You won't find any meat on the menu at the Butcher's Daughter (she's clearly quite rebellious). This juice bar and cafe is a must, especially if you love avocado toast as much as I do. The menu is constantly changing but always 100% meat and dairy free! Why I love it: You'll feel as though you've been transported to France when you step into this deceptively large bistro on the Upper West side. The food is delicious and so authentically french you might even think Julia Child is calling the shots in the kitchen. If you're in the mood for something sweet, the buttermilk pancakes are not to be missed. Why I love it: I just can't with Cafe Lalo. I love it so much because it's basically perfect. You can read all about my love in post linked below. Why I love it: Unlimited Sangria in 8 different flavors is served with a latin brunch. There's really nothing else to say. Why I love it: I tried this restaurant with my friend Casimir for obvious reasons. It ended up being a really great brunch spot with outdoor seating perfect for people watching. Why I love it: Hands down the best place to go if you've never tried Matcha. While I can't say I'm the biggest fan, I can say I whole heartedly enjoyed the experience. I also love a good marble table. It's incredibly gram-able, which, let's be honest, is the real reason I try a new coffee shop in the first place. Why I love it: The cookies are bigger than your face. That's all. Why I love it: The food is just so good and the atmosphere is bright and airy. Oh, and theirs also Sean Patrick. If you're not sure what I mean, read the linked post below. Why I love it: Italian food galore. It's essentially a huge market with mini restaurants, where you can purchase the exact ingredients of anything you eat. Also I heard it's in the works to bring back the Nutella bar and I'm dying. 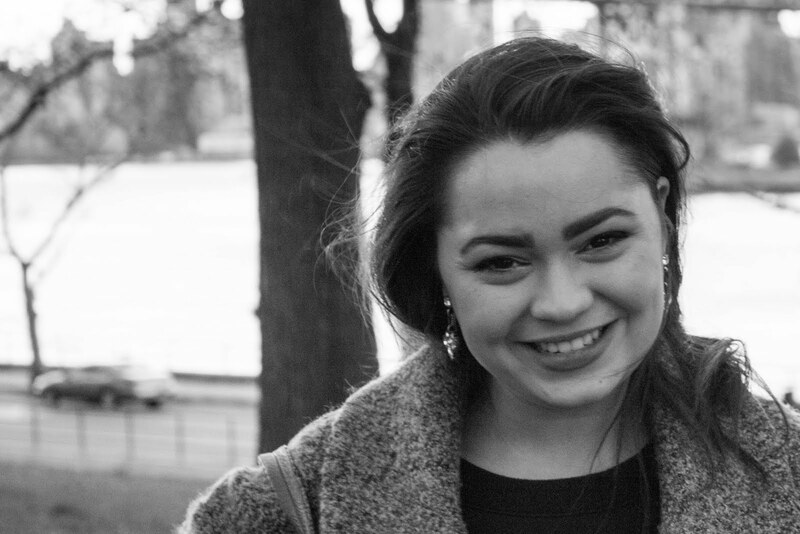 Why I love it: Adorable and perfect for a quick lunch break after spending some time at the MET on the Upper East. Expect the classic soup and sandwich situation. Why I love it: Typical ice cream, but the cones make it amazing! You'll find cones dipped in chocolate or marshmallow with Oreo, Rice Krispies, Fruit Loops, Fruity Pebbles, coconut and Sprinkles. They also have cones rolled in a mixture of everything if you're feeling ambitious. 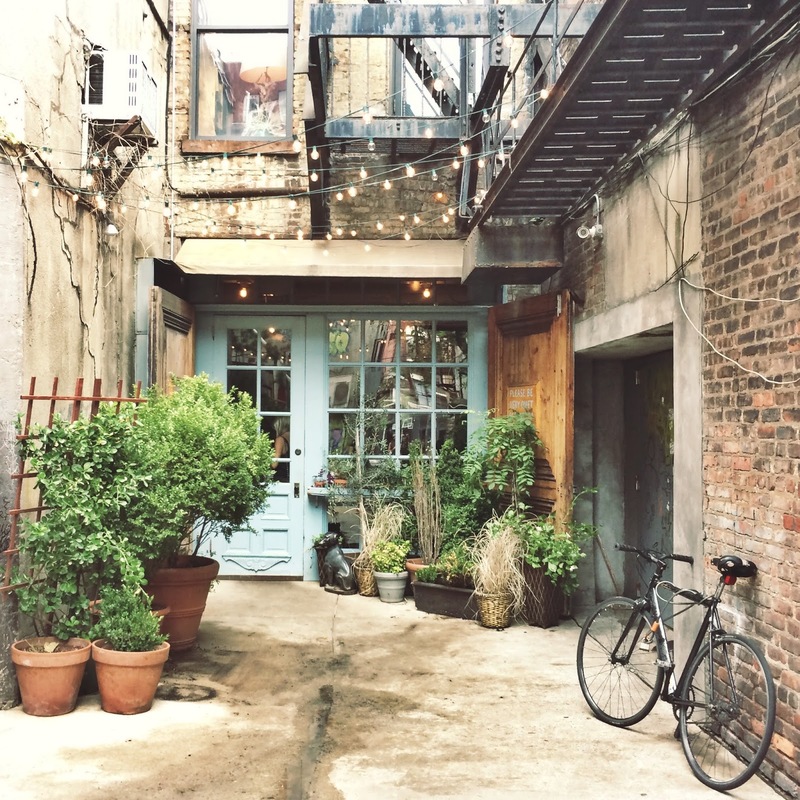 Why I love it: A visit to Freemans will make you feel like you're in on a wonderful secret. Located at the end of Freemans alley, Freemans feels less like a restaurant and more like someone's personal hunting lodge. With vintage books and cozy couches, Freemans is the perfect spot for delicious food and what feels like a mini escape from the city. Why I love it: The secret flavors are everything. Everyday Georgetown Cupcakes tweets a secret flavor of the day that's completely free for the first 100 customers who order it by name! Why I love it: At the Northern most tip of Manhattan you'll find Indian Road Cafe. Everything about this place feels like a real small town treasure, from it's use of local produce, to it's showcase of live local music. If you don't live in Inwood, it's also a fun excuse to explore a gorgeous area of the city you might otherwise have never visited. Why I love it: A little cafe with a big reputation serving up delicious food. The restaurant has a great story and a killer Instagram. It's also quite popular among celebs, recently Mindy Kaling and BJ Novak had lunch there and I died. Mentioned in this post and this one! Why I love it: Jane is just so picturesque. It has a wonderfully warm and relaxed feeling about it that's perfect for Sunday brunch. You'll also find that a lot of their awesome menu items use organic and local ingredients, which is always a plus. Why I love it: I particularly love the Times Square location because the interior is just unbelievable for its location. With two floors, a grand ceiling window and a beautiful mural of New York, you'll forget this is a pizzeria... that is until the delicious pizza arrives at your table. Why I love it: Lafayette is one of my favorite restaurants in the city. With a beautiful french country interior and a menu that never disappoints, it's my go-to for brunch downtown. Why I love it: Is there really somewhere better for macarons? With their extravagant french decor and signature green walls, Laudree is certainly worth the visit. I feel like Blair Waldorf at the Upper East location, but the Soho spot is equally fabulous. Also, Mindy Kaling was recently there and anything she likes is just perfect in my book. Why I love it: Velvet chairs and ornate gold frames transport you back to the time of Queen Victoria. I absolutely love the interior of Lillie's with its exposed brick and gorgeous marble top bar. With cozy booths and occasional live music, it's great for drinks or dinner with friends. Why I love it: These famous cookies are a must try, if only for the story. The cookies are as big as a rock but soft and undercooked inside. Expect a line but it moves fast, I promise. Why I love it: A taste of the shore in the city. The decor will make you dream of the sea and the beach fries... oh the beach fries. Why I love it: This farm to table menu changes weekly showcasing what's locally in season. The restaurant is named after the road that is now called Greenwich Avenue's and feels inspired by an 18th or 19th century farmhouse. Gorgeous inside and out, I came for the decor but stayed for the amazing food and cocktails. Why I love it: Tucked away on a perfect little street in Greenwich Village, Palma serves up amazing Italian food using organic ingredients. The atmosphere is beautiful and relaxed, and there's even an outdoor garden for dining on warmer days. Why I love it: Panna II is the definition of "do it for the gram." There must be thousands of rainbow lights in this narrow Indian restaurant, providing the perfect backdrop for an on point insta. Why I love it: The Paris Cafe is the perfect place to grab food after walking the Brooklyn Bridge or exploring South Street Seaport. It's one of New York's oldest pubs and has an impressive history dating back to the 1800's involving famous patrons like Thomas Edison and Teddy Roosevelt. Why I love it: The perfect Summer spot, located on a floating railroad barge at Pier 66 on the Hudson with historic Lightship Frying Pan and John J. Harvey Fireboat floating alongside. I would recommend sitting on the top deck for a nice misty breeze! If you insist on the bottom take the splash warnings seriously-- my friend Alex got soaked, and while it was hilarious for me, he wasn't too thrilled. Why I love it: Like Eloise, I absolutely love the Plaza, especially their basement food hall. There are so many amazing options that it's overwhelming! Once you've finished eating, pop around the corner to find an adorable store dedicated to the Plaza's most famous and rambunctious resident. Why I love it: No reservations at this adorable hole in the wall brunch spot, so definitely expect a wait on weekends. Though the cozy interior, beautiful bar and delicious meals ordered from pink menus are for sure worth it. Just don't expect brunch to be leisurely, with so few tables and always a wait, this isn't the place for an outrageously lengthy meal. Why I love it: This two story Upper East Side restaurant is modern in both its italian menu and interior. I'm in love with the "buttoned up the back" seating in the dining room as well as the patterned projection on the bar. Whatever you do, don't skip the appetizers or dessert because it's all amazing. Why I love it: While the drinks are certainly not for the weak willed, Rosie's serves up delicious Mexican dishes are simple and traditional. With an open dining room around a central bar, and bulb lights strung from the ceiling, it's for sure a fun, casual environment for a group of friends. Side Note: Rosie's is a sister restaurant of the Cookshop. Why I love it: Upscale but not pretentious, Sanfords serves up classic American cuisine with a modern twist. Expect to see dishes like Crab Cake Benedict, French Toast Panini and Waffle Medley. Don't forget to make a reservation! Seats at one of Open Table's previously named "top 100 brunch spots in America" fill up fast. Why I love it: Sarabeth's is often credited with starting the New York City brunch craze. That's probably why it's still difficult to get a weekend reservation. It's worth the extra effort however, with a charming interior and delicious menu (They're famous for their pancakes!). Also it's Taylor Swift approved, so you know it's good. Why I love it: Only small plates at Sofia, but the best part is ordering a bunch to share! If you want some recommendations, definitely go for the spinach and artichoke dip, meatball sliders or mac n' cheese or, ya know....all three! Why I love it: Sprinkles is the home of the cupcake ATM and for that reason, I included it on this list. Although, I still don't fully understand why people are willing to wait in line outside to get their cupcake from a ATM, instead of going inside to order, where there's no line at all. Either way, I guess I support the whole "baked goods at any hour" mission, and if you're a sweet tooth visiting New York you should put it on your must-see list. Why I love it: Pennies make up the floor of this Standard Hotel restaurant. With red leather booths and a delicious Seven Grain Waffles on the menu, it's a cozy spot for a great brunch. Why I love it: With cocktails like the German Chocolate Cake and the Peanut Butter Cup, The Sugar Factory is sure to impress the candy obsessed. Why I love it: Kitchy and adorable, it's hard not to love Sugar Freak's mismatched wallpaper and founding fathers placemats, especially when the food is absolutely incredible. Anything you order will be HUGE, and it's a good thing too because a small portion just wouldn't be enough at this cajun-creole Queens' favorite. 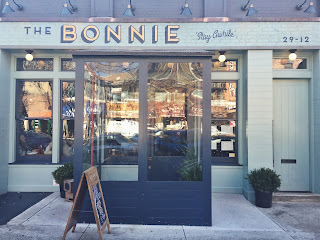 Why I love it: Sister Bar of the Bonnie, expect cocktails that are just as expertly crafted alongside delicious pub food. Cozy hightop booths are perfect for long chats over a leisurely brunch. While the bar can be bustling at night with live music, a quiet saturday morning meal, can make the place feel a little like a neighborhood secret. Why I love it: Tavern on the Green is a picturesque summer setting. Nestled on the west side of central park, the outdoor seating is surrounded by beautiful string lights where diners can watch the activity in the park while they eat. Why I love it: Quintessentially British right down to the waiters and waitresses. Choose from over 30 different types of tea and don't forget to order scones with clotted cream. Why I love it: My favorite Toby's is attached to the Club Monaco in the Flat Iron. The shop is small and charming with a large drink menu. Also what more could you ask for than coffee, books and clothes? Why I love it: Sometimes you just need something other than Starbucks. Two Hands serves up delicious coffee and a small food menu for a quick lunch. Why I love it: BYOB. Knick Knacks. Casual everything. Giant Donuts... oh the donuts. This cash only Queens favorite has a decor like I've never seen and delivers on exactly what it promises-- incredible comfort food. Expect to find buttermilk banana chocolate pancakes and chicken with waffles on the menu, along side some hand drawn cartoons and notes. Oh, and be prepared to wait for a table, no reservations means long lines to get in because it's just that good. Why I love it: It's a farm to table Greenwich Village gem.... and when I say "farm" I really mean "roof," because the roof of Rosemary's is a legitimate rooftop farm. The dining room is so large and airy with twinkle lights above and large windows that are open in the summer for a cool breeze. It's the perfect place to pretend you're brunching in your countryside cottage. Side Note: Like Bobo it's also owned by Carlos Suarez. Why I love it: The Wren is a cool East Village spot, perfect for a drink or late dinner. The decor is rustic meets speakeasy, with lots of wooden accents and a bar that looks straight out of the twenties. The menu is short, but with some delicious standouts, like the Lemon Roasted Chicken! You should also definitely try to get a cozy corner booth. Why I love it: This is a favorite among my friends for dinner before seeing a show. It's inexpensive but delicious Thai food. Also, you can't beat $3 wine. Just make sure you go to Yum Yum II and not the others that surround it. I'm not sure there's a big difference because I've never tried the others, but I'm fiercely loyal.